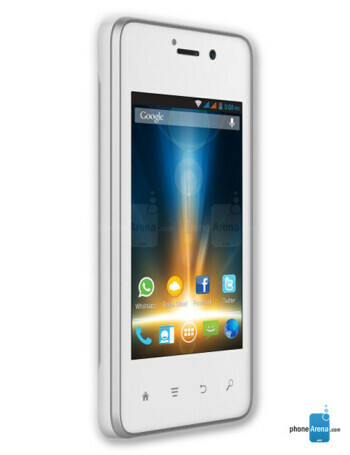 The Spice Mobile Smart Flo Mettle 3.5X Mi-356 is a low-end phone. The 3.5-incher is driven by a dual core MediaTek processor clocked at 1 GHz, coupled with 256 MB RAM and 512 MB ROM. Storage can be expanded via the microSD slot, and two cameras are available - 2 MP rear one, and 1.3 MP on the front for video conversations.